A palette with three, universally flattering highlighters to help illuminate all skin tones. Each shade can be applied dry for a shimmering veil of second-skin color, or wet for a high-impact glow that instantly blends into skin. 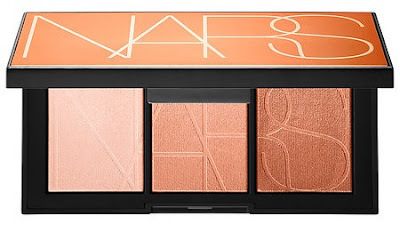 Verdict: NARS does not disappoint with this palette. The shades all apply gorgeously and blend beautifully on the skin. The colors actually leave a glow on the skin and do not have a shimmering glitter effect. I truly appreciate that each shade is different from the other and works well on so many different skin tones. This is a nice palette to add to your highlighter collection if you are looking for a product that leaves a heavenly glow without being overly harsh on the face. The BeautyCon Box is a seasonal beauty and lifestyle subscription box curated by the most in demand influencers. Each season you will receive a box filled with over $100 in products. This box is priced at $29 seasonally or $99 annually plus the cost of shipping. The Curator for the Spring 2017 box is BeautyCon themselves! * This was the last BeautyCon box from my annual subscription and I must say that I am pretty pleased with the products that were offered. The Spring box had a nice variety of beauty products and I really appreciated the fact that there were no random coupon codes in this seasons box. I would prefer that BeautyCon stray away from products and brands that we tend to see in cheaper subscription boxes but overall I am pretty happy with my new beauties. Looks like ULTA is adding another well known brand to its every expanding selection. MAC cosmetics will be available on ULTA.com in May and then will be available in about 25 stores come June. By the end of the year, MAC is expected to be in more than 100 ULTA stores. 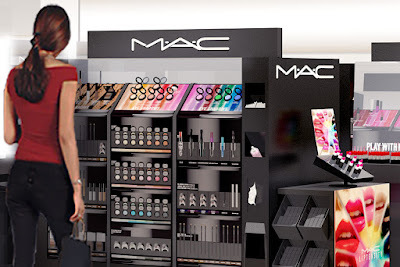 MAC currently stocks around 1,200 different products in their department store locations and about 1,500 different products in their own branded stores however because of kiosk sizing the company will be limited to only 600 products at ULTA. The current product offerings will consist of different MAC foundations and lip products. The ULTA curation represents about 45% of MAC’s product universe and the individual items were picked based on their "must-have" status. Who is excited for this new brand launch?